Director Director of IILE Song Jae-il 041-850-8866 General management of IILE. Branch Director College of Industrial Sciences Branch Director Lee Il-yeon 041-330-1170 General management of College of Industrial Sciences Branch. Branch Director College of Engineering Branch Director Jang Seo-ik General management of College of Engineering Branch. Administration Manager Department Head Yu Gong-ho General support to the operation of IILE. Employee Team Leader Lee Ki-hak Operations for IILE. Employee Chief Secretary Park Bong-kyu Administrative affairs for College of Industrial Sciences Branch. Employee Clerk Chae Sang-i -General administrative affairs. Employee Clerk Byeon Seong-geun -General administrative affairs. 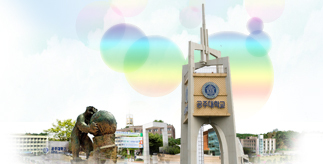 Employee Clerk Ka Jae-eun -General administrative affairs. Employee Administrative Intern Kim Moon-ji Affairs in Korean language program.